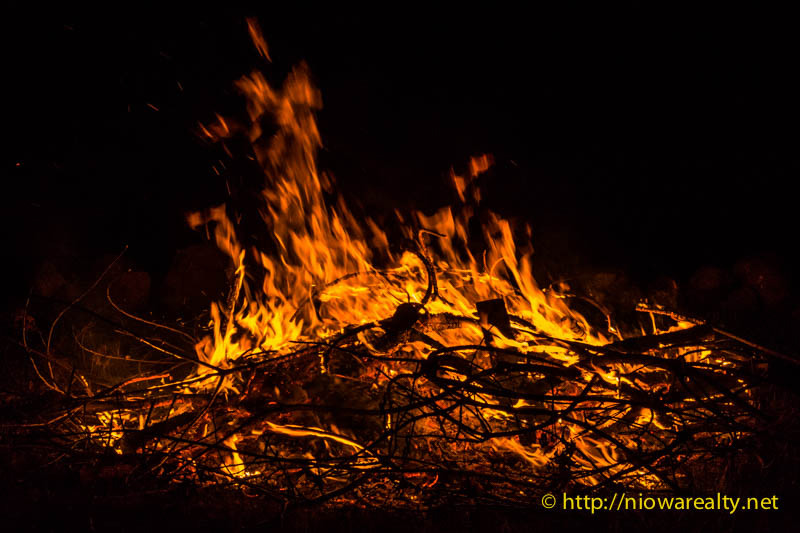 Share the post "Primeval Fire"
Several evenings ago I was invited to a gathering of people who were celebrating a family birthday and discovered they were as well having a recreational fire. Indeed everyone was enjoying the merriment along with telling stories around the fire. I found myself being pulled into the storytelling along with a handful of others. It’s interesting how people seem to shed their outer bark and begin to open up and speak almost in a completely different voice. Some even seemed to be mesmerized by continually gazing into the flames. Others even told stories without taking their eyes away from the fire. It was almost as if the fire were invisibly giving them the words to their stories. It made me think of how in the Old West, people would gather around the campfire and tell long evening stories. I’m sure it helped to calm their minds and bodies from the hazards they encountered each waking day. How many times I’ve heard clients and customers wishing for a real old fashioned fireplace where they could have a roaring fire on a cold winter’s night. Think of all the movies we’ve seen over the years where many key moments take place in front of a fire. I remember spending time in a mountain retreat where there was a giant fireplace that was fully exposed reaching high into the cathedral ceiling. I found myself enjoying the fire far past my normal bedtime. As we all know, fire awakens the primeval side of us where everything is taken back to the basics. The dramas and hidden agendas are burned away exposing the real core of our natures. If my memory serves me, even the reality show Survior uses the evening fire to expose opinions and decisions from the contestants. I can only imagine what must have gone on in the minds of people living in pre-historic times when they believed in the magic as well as dependency of fire. If the fire would go out, they would be exposed to the darkness and the hurtful creatures that lurk there. The person who had the knowledge of making fire was held in reverence as well as feared. The Celts who were mysterious in their own right considered fire one of their gods. Many rituals were conducted at the places of fire. Even Hitler knew how to invoke the primitive side of humanity by giving speeches at night with torches burning. I would encourage everyone to have a recreational fire gathering and see what friends and relatives really have to say while enjoying themselves around a primeval fire.